Typically ministry leaders do the staff evaluations from start to finish for those in their sphere of influence. Yet, they may not always be the best persons for the task, or at least for some phases of the process. Here you are taking observations of the person being evaluated and drawing some conclusions. Certainly insightful, analytical evaluators would be best at seeing problems or issues that need to be addressed. Then comes the actual evaluation where you sit with the person to discuss what has been observed. Having a people-oriented, as opposed to a task-oriented, evaluator would be best for this phase. The objective should be building up, encouraging, and supporting, not just dealing with problems or issues. Finally, in order to have something to compare in future evaluations, you put notes from the evaluation into a retrievable, useful format. Perhaps you give the person evaluated a copy. You might schedule follow-up support. This administrative, record keeping phase can easily get put off by busy, people-oriented leaders. 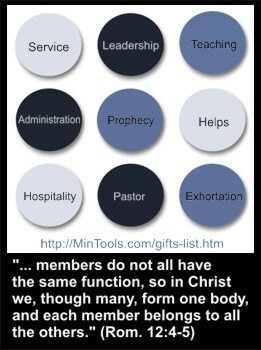 Few leaders have all of the above mentioned gifts. As a result, they may shy away from doing evaluations. Or, they may focus in on the phase for which they are best equipped. When they do that, the full benefit of doing evaluations may not be realized. Getting other people involved in helping with different phases can be problematic due to the confidential, sometimes sensitive nature of evaluations. So, what’s a leader to do? — That will be the topic of another post.